Many factors contribute to low rates of college completion among community college students assigned to developmental coursework. CCRC identifies these factors and evaluates reform efforts aimed at helping underprepared students achieve greater college success. For additional research on developmental education, see the Center for the Analysis of Postsecondary Readiness (CAPR), a five-year federal center co-led by CCRC and MDRC. Many adults with poor academic skills attend community colleges to further their education and careers. CCRC examines programs designed to impart both basic and vocational skills to underprepared adults. What is the role of developmental education in community colleges, how does it fit in with the access mission of the traditionally open-door community college, and how can it be improved to achieve better results for students and institutions? 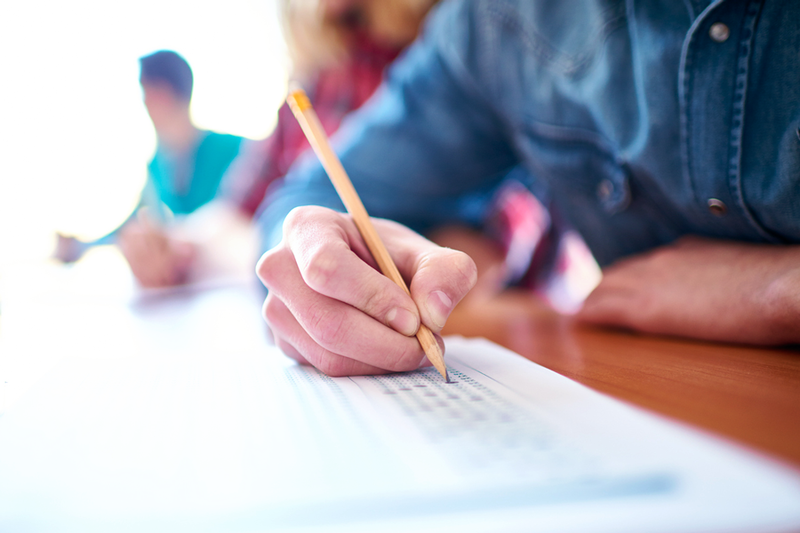 CCRC conducts research on how students are assessed and placed into developmental courses and how this process affects their progression through the remedial sequence and college-level courses. For additional research on developmental assessment and placement—particularly the use of multiple measures for placement—see the Center for the Analysis of Postsecondary Readiness (CAPR), a five-year federal center co-led by CCRC and MDRC. How can community colleges promote better outcomes for students referred to developmental education, and what kinds of course structure, curriculum, and classroom practice help remedial students succeed? Colleges are experimenting with a range of programs and policies that CCRC studies and evaluates. 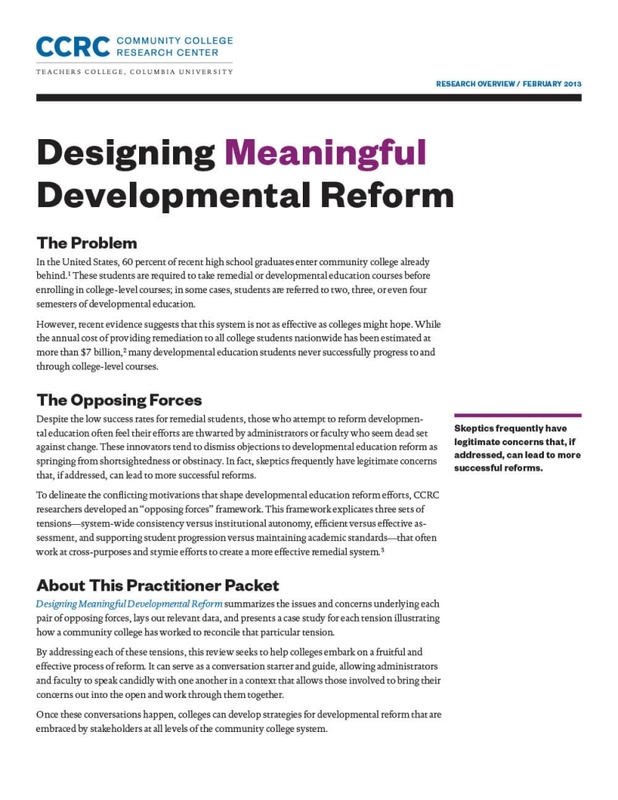 This practitioner packet provides tools to help community college administrators effectively implement reforms to developmental education at their colleges.